The holiday season is approaching! Businesses and consumers look forward to this time every year. Consumers want to shop and businesses want to profit from increased spending. Here are a few marketing tips for a successful holiday season. Email marketing is an important to include in your holiday marketing plan. Customers are always looking for deals during the holiday season and sending them an email that includes discounts and coupons is a great way to drive customers offline and online. Promotional ideas could be offering a free gift with a purchase, free shipping during the holiday season, or significant discounts to “act now”. Including incentives in your holiday email campaigns will increase engagement and conversion. Creating a sales strategy is crucial to having a successful holiday season. Focus on products and services that are your best sellers. Your best sellers will drive business during the last few months of the year. To generate more sales (and profit) early in the season, provide customers with early bird specials promoting your products and services. Thank your customers for their support by sending holiday cards with a free gift or discounts showing them you appreciate their business. Social media plays a significant role in consumer engagement during the holiday season. Consumers are spending more time on their mobile devices navigating social sites making it easier for you to reach them. Connecting with your customers through social media posts keeps your products and services on the forefront of their minds. Keep them intrigued and engaged on a continual bases by posting great offers and promotions. For example, create a series of social media posts that get your customers to participate in games. Each week post a question asking your customers a question and if there answer is selected they’ll receive a discount or gift. We’re thankful for all of our customers and are here to help you with all of your data needs for this holiday season! Please feel free to contact us to discuss our products and services. Stay connected with CAS through our social media sites! We’ll keep you updated on CAS news, current promotions, special offers, events, exclusive content and much more. Be sure to like us on Facebook, follow us on Twitter, circle us on Google+, connect with us on LinkedIn and read our Blog! From social media to our email newsletters, we have many ways to keep connected! Having a solid segmentation strategy is key for differentiating your company from your competitors. Data segmentation gives companies the ability to identify high-opportunity groups within their customer database and can help you better communicate the benefits of your products and services to targeted groups. Through segmentation you can identify how each segment is likely to react to an offer, a price, a promotion or product enhancement. Segmentation is about dividing your customer database based on characteristics such as demographic, geographic, lifestyle, life-stage, or behavioral/attitudinal. Segmenting your customer database helps to better target and focus marketing messages, offers and activities so they are more relevant. The more relevant your marketing message is then the likelihood it will resonate and generate a response increases. Segmentation allows for the effective allocation of marketing resources and the maximization of cross- and up-selling opportunities. When a customer is sent personalized messages that are designed around their needs, it’s easier for companies to send those customers special offers meant to encourage them to buy more products. You can segment your customers into high, moderate, fair, and poor profitability. A marketing strategy can be developed that fits the needs of these targeted groups. For example, those highly profitable customers may be moved to the top of the phone queue for your sales team. • Base segments on location such as continents, countries, states, metropolitan statistical area, zip codes, or radius distance. • Base other segments on age, income, ethnicity, gender, family size and type of family, such as married without kids, married with kids, empty nesters and retirees. • Additional segments can consist of people or companies that have a similar level of interest in a comparable set of benefits. In summary, segmentation ensures that marketing effectiveness is optimized and allows for a targeted sales drive. If done right your segments can feed into marketing campaigns that cater to your customers’ needs in an effective manner. If you target the proper segment you’ll achieve better customer engagement and higher profitability. We Did It Again… Officially ISO Recertified! CAS is excited to announce that we have successfully been recertified in ISO 9001:2008. The Quality Management System certification demonstrates our commitment to quality and customer satisfaction, as well as continuously improving our company’s operations. The internationally recognized Quality Management System standard is the preferred solution for organizations worldwide. It provides our company with a framework and set of principles that ensure a common sense approach to the management of CAS’ business activities to consistently achieve customer satisfaction. Organizations depend on their customers, and therefore need to shape activities around the fulfillment of market need. To achieve organizational objectives, resources and activities need to be managed as processes, with an understanding of how the outputs of one process affect the inputs of another. The effectiveness and efficiency of the organization depends on a systemized approach to work activities. Adopting IOS related processes as a part of everyday culture is a key objective for an organization. Such relationships will enhance the ability to create value. There are many benefits of being ISO 9001:2008 certified! Some of these benefits include: involving executive management in the improvement of the quality management system; ensuring sustained customer satisfaction by producing, delivering, providing support functions that meet our customers’ needs and expectations; increase the effectiveness and efficiency of the organization through continual improvement of systems and quality of products/services. Suppressing records against the National FTC Do-Not-Call file, various state Do-Not-Call lists, the DMA Telephone Preference Service (TPS) file and the DMA Pander file ensures that your marketing efforts conform to all Federal and State legislation. Sending direct mail to the recently deceased adds insult to injury for the remaining members of a household. For others, it can create active hostility toward your company. This process allows you to identify and remove the records of deceased individuals from your database. NCOALink identifies changes of address on both business and consumer records, saving you printing and postage costs. Duplicate names on your customer file are a source of confusion and a waste of marketing dollars. This process can clean up your database based on individual names, addresses, phone numbers and more. Not only can this process identify and delete duplicate records from one file, it can find duplicates and perform deletion processing across multiple files simultaneously. CASS processed addresses verifies whether or not an address is an actual valid address. LACSLink corrects address lists for areas that have undergone permanent address conversion. The LACSLink database consists of address conversions that the USPS® has obtained and verified, primarily a result of 911 address conversions. Using an EXACT address database from the USPS, DSF2 verifies whether or not an address is an actual valid address. This process takes addresses and adds the address element(s) to make them deliverable addresses. Stop wasting your marketing efforts and budget on inaccurate or obsolete data. Start utilizing data cleansing services to ensure your data is accurate and up-to-date. Contact us today with questions you may have on data cleansing or other email and list related services! Data analytics is one of the most effective tools to enhance your business and the impact it can have on your company is significant. It is one of many key components to making your business grow successfully! To grow your business, you need to make informed decisions. Knowing your customers is a prerequisite, and the best way to understand your customers is to analyze your customer data. How can data analytics improve the value of your business? It can bridge the gap between you and your customers. Customer data can provide a wealth of information about their business and market. To realize these benefits, customer data must be collected, analyzed and reviewed to help you focus on questions important to your business. Have your data analytics team be responsible for identifying the data required, collecting it, analyzing it, and distributing the results. They should then be able to pinpoint key segment of your data, so you are no longer wasting marketing and advertising dollars on customers that are no longer your target audience. 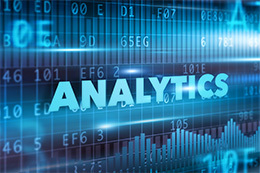 CAS can help you with your data analytics needs! We can overlay demographics onto your customer file, analyze the data, and help you market to the projected top performing segments. Use our data analytics services and improve your segmentation and targeting in your direct marketing efforts. Phone Append. CAS has been known for years as the leader in Phone Number Appending Services. CAS’s distinct capability lies in the fact that we process our records against two of the largest compiled databases in the country, all in one step. An additional enhancement to our phone appending services is a new matching process that looks at records on an individual level (not household), thus finding 15-20% more matches than by traditional means. We are also one of the only phone append bureaus that offer you the flexibility of choosing which matches you want back; this is done through our Confidence Level matching. By “tightening up” the matching criteria, you can significantly reduce your Wrong Number/Disconnect rates and/or call your “best” matches first. Reverse Append. If you have a customer or prospect list that contains a phone number, append the address and occupant name for direct mail purposes. Demographic Append. Understand household income, age, occupation, education levels, presence of children and lifestyle characteristics of your customers. Appending demographics, behavioral and mortgage information gives you the clearest picture of who your customers really are and allows you to market to them the proper way. Email Append. Email append is a process of adding (appending) an email address to a list of names and addresses. This list could be your customers or prospects and comprised of businesses or residential addresses. Your data is matched against a number of nationwide postal and email files. Hundreds of millions of records go into the match process. Cable Append. In cases where your house or prospect file contains only residential street addresses, this service can match the street address and return a name and/or telephone number based on your choice. Match rates vary based on input records age. Data append provides you with up-to-date data, so you can effectively target your audience. Without accurate data such as current mailing addresses, telephone numbers, and email addresses, your efforts can be wasted. Ensure that valuable opportunities aren’t lost by utilizing data append services. Thank you for your time and interest in CAS services! Please do not hesitate to contact us with questions on append services or other email and list related services. 1. Offer a free whitepaper. Offer a complimentary whitepaper or another educational recourse in exchange for a customer’s email address. 2. Host a webinar. One of the main goals for hosting a webinar besides sharing about your business or industry is to collect email addresses to build your list. 3. Run a Google Adwords campaign. Google Adwords is one of the best ways to get valuable targeted sign-ups. Build email landing pages specific to your email list and then optimize for click-based search engine advertising. 4. Utilize sign-up forms. Create a prominent opt-in form on your homepage for visitors to sign-up easily. The form should be placed in the top menu bar, website header, or sidebars. Placement of the opt-in form is crucial in grabbing the reader’s attention. 5. 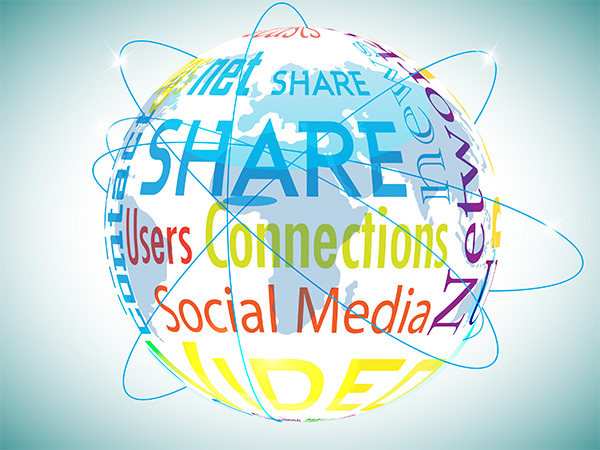 Include social media share buttons. Adding social media share buttons on your marketing emails allows readers to pass along your content in Facebook, Twitter, and other social media channels. That way, you’ll gain access to networks, friends, and potential customers who might sign-up to receive emails. 6. Offer incentives. Incentives often help when it comes to driving more email sign-ups for your list. The incentive should be mentioned in the email sign-up description. Always give the subscriber the reward immediately after they sign-up and put the discount inside of the email to make sure they’re opening your welcome email. 7. Use a lightbox. A lightbox is a pop-up box that displays when a visitor enters your website that asks for an email address and usually offers an incentive. This tactic has been known to be controversial since it has been considered something that annoys readers, but it has shown to drastically increase your subscriptions. 8. Include a sign up form on your Facebook page. Add a sign up form to your Facebook page to encourage visitors to provide their email address and other valuable information that you need for your email marketing campaigns. 9. Collect email addresses at events. Collecting business cards at conferences, trade shows, and industry events is a great way to gain access to your customer email addresses. 10. Include a “Forward to a Friend” button. Make it easy for subscribers to forward your marketing emails by including a “Forward to a Friend” button. Building your email marketing list is important. Make sure that you’re providing enough value to properly motivate potential subscribers to take the leap and join your email list. This database has over 100 products selectable by category such as health and fitness, household, outdoors, pets, and much more. These are highly impulsive buyers whom have placed orders from infomercial TV spots. Ideal prospects for this database include but are not limited to direct mail marketers, retailers, travel agencies, dining establishments, magazines publications, electronics retailers, telemarketing offers, and general merchandise catalogers.